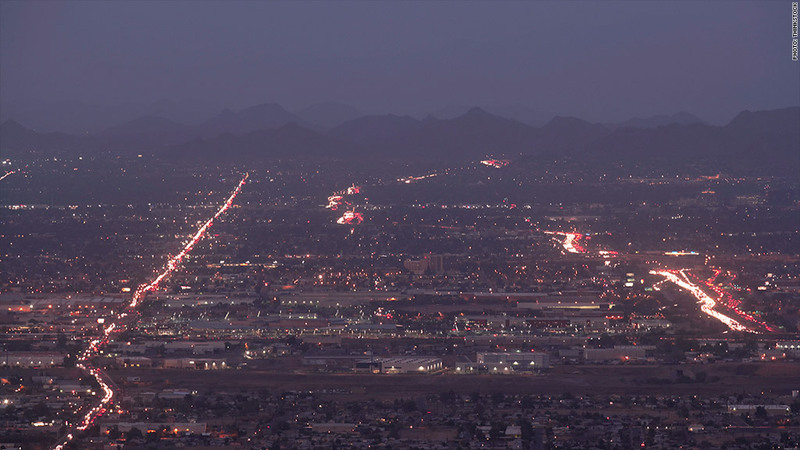 As air pollution decreases, Phoenix is one of the cities that's showing a marked improvement. America's air is getting cleaner, which doesn't just mean a healthier public -- it also saves the U.S. billions of dollars. The American Lung Association's annual "State of the Air" report -- based on EPA findings for 2009 through 2011 -- found that the three types of air pollution they track have all declined. 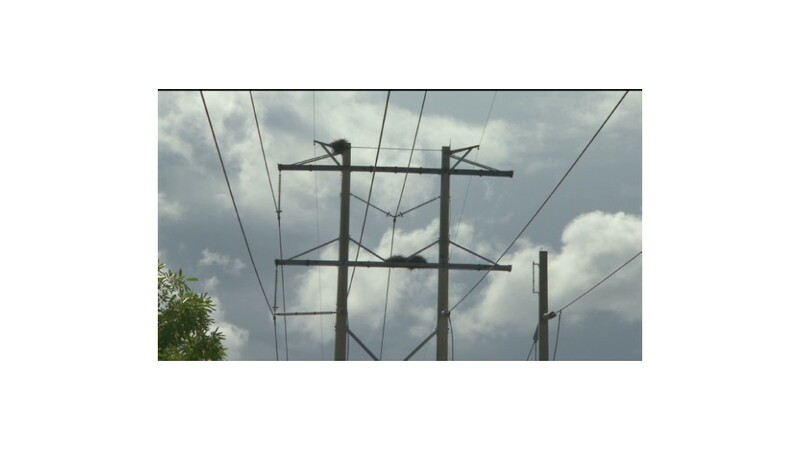 "We are happy to report that the state of our air is much cleaner today than when we started the report 14 years ago," said Harold Wimmer, the ALA's CEO. "But the work is not done." The report covers short-term and year-round particle pollution, which includes dust, metals, smoke, exhaust and acids. It also measures ozone, which is created mainly from a reaction between sunlight and unburned gases in engine exhaust. These three types of pollution represent the most widespread airborne threats to people's health. About 132 million people in the United States, or 42% of the country's population, live in counties that have unhealthy levels of at least one form of air pollution. This can lead to asthma, cardiovascular issues, lung problems and premature death. "All three [types of pollution] kill people and cause harm to those with respiratory problems," said Janice Nolen, lead author of the State of the Air report. "Particle pollution is more lethal, but ozone is dangerous too. Both need to be cleaned up." There's a huge economic benefit to alleviating these health risks, says Nolen. By 2020, the EPA estimates that the savings from cleaner air will total $2 trillion annually and cost just $65 billion to make the necessary improvements. The country is already seeing the benefits, according to the EPA: Improved air quality helped prevent 160,000 deaths in 2010 (the last year data was available); avoid 1.7 million asthma attacks; and reduce hospital admissions and emergency room visits by 86,000 each. Wimmer credited the Clean Air Act, first passed in 1963 and expanded over the years, with reducing pollutant levels. The EPA's latest proposal, set to kick in by 2017, will further purify engine exhaust by reducing sulfur content in gasoline. The agency will also continue its push to retrofit power plants, use more renewable power, switch to "greener" household products and burn natural gas instead of wood for heat. Separately, increased natural gas production in the U.S. will be a huge driver in improving air quality. A supply glut has dramatically reduced natural gas prices -- making it cheaper for power plants to burn than coal, and far cleaner. In 2012, for the first time ever, natural gas generated as much electricity as coal, and with energy production booming, this trend is likely to continue. As a state, California has led the nation in implementing clean-air programs, but its cities still consistently have the most serious pollution. High population densities, a dry and sunny climate, and topography that traps air all frustrate progress. Four cities in the Golden State -- Bakersfield, Fresno, Hanford, and Los Angeles -- are in the top 10 in all three categories of pollution and have been for years. Bakersfield had the worst air quality for any metro area for the third year in a row. Outside of California, Pittsburgh had the worst air quality, due to the toxic side effects from numerous coal-fired power plants in the region. A couple of cities made significant progress. Phoenix dropped out of the top 10 cities for year-round particle pollution, while San Diego's ozone levels improved enough to get it out of the top 10 as well.